Fishing rods can come in the form of a simple pole, a spin-cast rod, a spinning rod, a bait-casting rod, or a fly rod, depending upon the type of fishing you do. 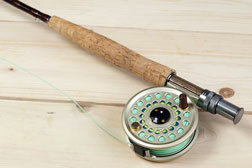 The type of fishing outfit you select, including the rod, reel, and accessories, is commonly known as fishing tackle. Some fishing rods are short and flexible, while other rods are long and heavy. When it comes to fishing, your rod may be the most important piece of fishing tackle. But with the wide variety of fishing rods available, choosing the right rod can be perplexing. Most rods are made from fiberglass, graphite, or a combination of the two. Rods can be fast-taper, which means they are stiff near the tip; medium taper, which means they flex about halfway down the rod; or slow-taper, which means they are flexible all the way down the rod. Fast-taper rods are better for bass and saltwater fishing, or for any type of fishing in which you need to set a hook hard and fight the fish. Slow-taper rods are good for ultralight fishing, while a medium rod tries to combine the best attributes of both. Rods come in various lengths, but most are between five and seven feet long. Shorter rods are good for confined areas, while longer rods are good if you need to throw bait a long distance or fight a fish. Rods can come in one or two pieces, depending upon the need to break them down for easy transport. If you don't know exactly what kind of fishing you are going to do, or if you enjoy different types of fishing, then spinning tackle may be your best choice because it is the most versatile fishing tackle available. Spinning tackle can be defined by its reel, which has a fixed spool that doesn't revolve during the cast or retrieve. Instead, the line is retrieved by a mechanism that revolves around the spool as you turn the crank. 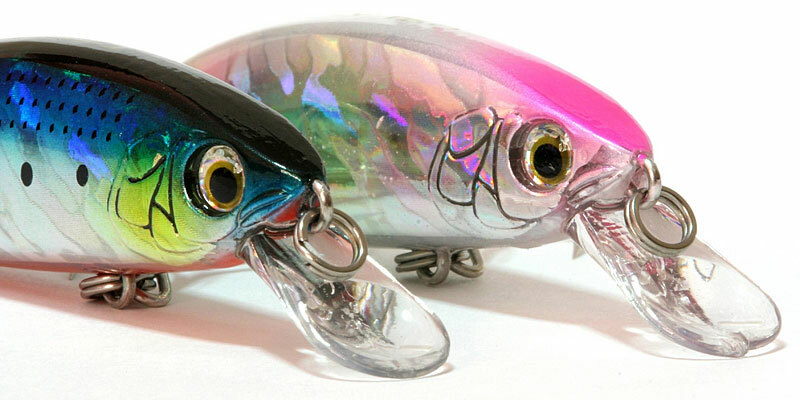 Bait casting tackle is another form of fishing outfit. Sometimes called plug casting, the bait casting system uses small revolving-spool reels, many of which use level-wind mechanisms. Bait casting tackle is very popular among bass fisherman, as well as with many other types of freshwater and saltwater fishing. Anglers who tie flies uses fly-fishing tackle. Many fishermen steer clear of fly fishing because they think it is the most demanding type of fishing. In reality, with a bit of practice, it is as easy to learn as spinning. When selecting fly-fishing tackle, a most important consideration is the balance between the rod action and the line weight. Big game tackle is specialized tackle designed for fishing a line of a particular size. 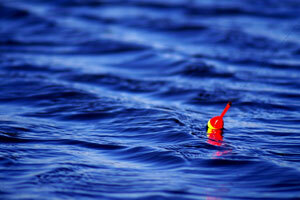 Used for offshore game fishing, big game tackle is the most common type of tackle used by tournament anglers. Most big game rods are fitted with a set of roller guides and a roller top. Boat tackle is a term used to describe fishing outfits designed for still fishing and trolling in saltwater and large lakes. While big game tackle and boat tackle can be one and the same, more often than not boat tackle comprises a wider category of gear that can be used in many fishing situations, from surface trolling to bottom fishing. Surf tackle is a variety of stout, long-distance casting equipment. The equipment is designed to get your lures or sinkers over the breakers in order to reach faraway schools of fish. Most surf rods have stout tips and long butts, and overall lengths range from 8 feet to longer than 14 feet. 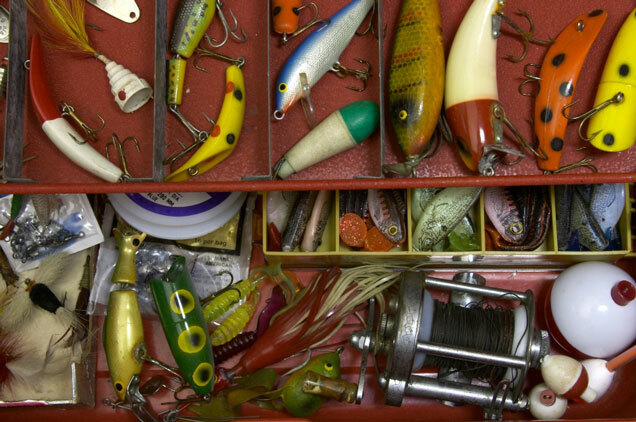 Fishing tackle is also a general term applied to any item used for fishing live or prepared bait, including hooks, sinkers, floats, and swivels, to name a few. 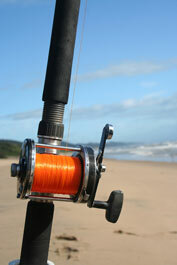 Put simply, fishing tackle comprises your fishing rod and fishing reel as well as related fishing gear. Fish hooks come in all sizes and styles. 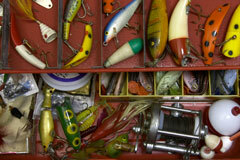 Choose appropriate fish hooks, based upon where you'll be fishing and what type of fish you are targeting. Sinkers, which are used to get your hook down into the water, also come in diverse weights and styles. 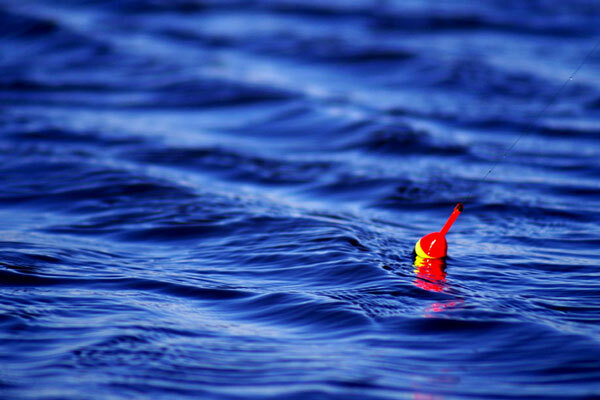 Floats, which are attached to your line, indicate whether a fish is taking to your bait; they will also carry your bait if you are fishing in water with a current. Swivels are used to keep your line from twisting. Of course, the type of tackle you use will depend upon the type of fishing you do. For instance, tackle for a spinning rod will differ from that of a fly rod. Tackle on a surf fishing outfit will be different than tackle on big game gear. Tackle Direct is a fishing outfitter that offers tackle and accessories for saltwater and freshwater fishing as well as fly fishing. Cabelas features an extensive range of fishing tackle, including baits, rigs, rods, and reels, as well as fishing line and terminal tackle. Bass Pro Shops offers a broad selection of freshwater fishing, fly fishing, and saltwater fishing equipment and apparel.